When life gets busy, cleaning often takes a backseat. Maybe you’ve made a list of reasons in your head why you shouldn’t hire Colorado Springs house cleaners. But have you considered the many reasons you should? Some think hiring a house cleaner is a luxury or causes people to appear lazy, in reality, they offer a solution to help free up your time. If you’re on the fence about hiring a house cleaner for your home, here are a few good reasons you should. When you work a full-time job, coming home to clean and scrub your house can feel like having two jobs. As a busy professional juggling work and personal life, spending hours each week scrubbing bathrooms, mopping floors, vacuuming, and disinfecting your home may not be the best use of your time. Focus on your important tasks and leave the cleaning to the professionals. There’s nothing like leaving a dirty home and coming home to a spotless, shiny home when you return. This means you can relax and rest after a full day. You’ll feel great about your decision to hire a cleaning service when you come home to a fresh, clean home. You may know the basics to keep your home clean on the surface, but the professionals know the important places where dirt and germs are hiding. Toilet handles, door handles, and dusty baseboards are often forgotten, but house cleaners know the hidden spots to clean and disinfect your home. Nothing escapes the professionals. Hosting parties and entertaining guests is the fun part. Cleaning your entire home for their arrival can be stressful. When you hire consistent house cleaners to keep your home spotless, you’ll worry less about guests coming. You’ll have peace of mind knowing your home is freshly dusted and your bathroom is germ-free. Let’s be honest, not everyone enjoys cleaning. Some people despise it. Hiring Colorado Springs house cleaners will save you from this daunting task. If you don’t like cleaning, you may avoid deep cleaning your home which allows dirt and grime build up. Let the house cleaners handle the dirty work for you. If you can relate to these reasons, hiring a house cleaner is a great decision. Contact the local and professional Colorado Springs house cleaners at Maid To Shine to schedule regular cleanings for your home. You’ll enjoy more free time and you’ll love coming home to a clean home! I think it would be really nice to hire a house cleaning service. I just feel like I don’t have the time to really clean my house thoroughly. Hiring a professional to clean for me would definitely see the job get done right, like you said. I definitely agree with what you’ve said about coming home to a clean house at the end of the day. When my wife and I first started our family, there was nothing more exasperating then leaving a dirty house in the morning and coming back to try and clean it despite how stressful the day has been. I like that there is the option to hire cleaning services as that’s a great way to help create a stress-free home. These are some great reasons to hire a cleaning service. For me, I just really don’t like cleaning, so it’s a good reason to find one. Why clean when you can just hire someone else to do it for you? It has been a while since I last cleaned the house, and I know that it’s about time that I pick up the broom again. The only problem is that I am too busy that I do not have the time, so I decided to research the steps and benefits of hiring a cleaning professional. You say that hiring professional cleaners was better if a person has a full-time job because not only will it prevent them from feeling like they’re doing two jobs at the same time, it will also give them the time to focus on more important matters. I agree with that. Thanks for the encouragement! My family is often the hosts of many social gatherings. 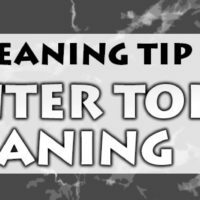 I loved your tip on getting a cleaning to avoid as much worry about guests coming over. Over 100 people are coming to my house for an event next week and I really think I need to look into hiring a cleaning service to get my house prepared. I liked what you had to say about the professionals knowing more about what needs to be cleaned than someone who just does the basics. It makes me want to hire someone just thinking about what I’ve been missing in my home. I will be seriously considering this. Very true!! By hiring a professional cleaning service for home, you will get a clean and organised living space in a hassle-free and cost-effective way. It sure was nice how you pointed out that hiring professionals to clean the home will ensure that the person can come home to a clean environment and relax after a tiring day. If so, then I will have to hire home cleaners as soon as possible. I am thinking that the likely reason why everyone is stressed out is the idea that they are returning to a messy home after working hard all day. We need to fix that. Thanks! Hiring a third party cleaner sounds like a great idea. I like the tips you have about finding the best one, like avoiding bad reviews. That means you’d want to do plenty of online research before deciding on who to hire so you can find out enough about them. Great Blog. I am reading your blog and i get the valuable information about hire a house cleaning service. It’s a very helpful blog. Thanks for sharing this post. I really like your tip to try and have a housekeeping service come when it is convenient for you the most. My wife and I both have full-time jobs, and because of that we sometimes have trouble coming up with the motivation to clean the house when we get home. I would love for a housekeeping company to clean our house while we are at work! Hiring a cleaning service seems like a good idea. I love the fact that it can improve the mood of those in our home. We need that, with the amount of teasing that goes on in our house, so maybe we’ll have someone clean it up! Thanks for pointing out that having your home professionally cleaned allows you to focus on other things. Recently I’ve felt like I haven’t been spending enough quality time with my husband and I’ve been looking for ways to remedy that. Maybe I should look into hiring a cleaning service so that I can give him all of my attention when I get home from work. I recently started working in cleaning company in Sharjah. I have hard timing in convincing customers. Your tips looks very informative and I am sure this post gonna help me. I love what you said about professional cleaning teams knowing where dirt and germs are hiding. I think that hiring a residential house cleaning service is a great way to not worry about extra chores after a long day at school or work. My wife and I are thinking about hiring a company to clean our home, so we’ll be sure to keep these benefits in mind. That is a great point that after working at a full-time job and then coming home to clean your house is like working two jobs. It would be really nice to be able to walk into a clean house after work and not have to clean it. Maybe a house cleaning service might be a good idea for me. I love how you pointed out that hiring a house cleaning service can give you time to focus on other things, like friends and family. My life is quite hectic–especially since I’m working and going to school–so hiring a professional cleaning service sounds nice. What tips do you have for hiring a good cleaning service in my area? Personally, I think working full-time is a completely valid reason to hire an exterior residential cleaning service. I need to focus on other things so I really need all the help I can get. Thanks for mentioning that I should hire a cleaner if I want to come home to a clean place so I’ll make sure to hire some cleaners to clean the outside of my home to increase my curb appeal.